Topographical map dated July 9, 2013, from Los Angeles County Department of Parks and Recreation, showing property lines at and adjacent to the state-owned, county-operated Placerita Canyon State Park, and the oil seep, which is the wellhead of the historic New Century No. 1 "white oil" well. 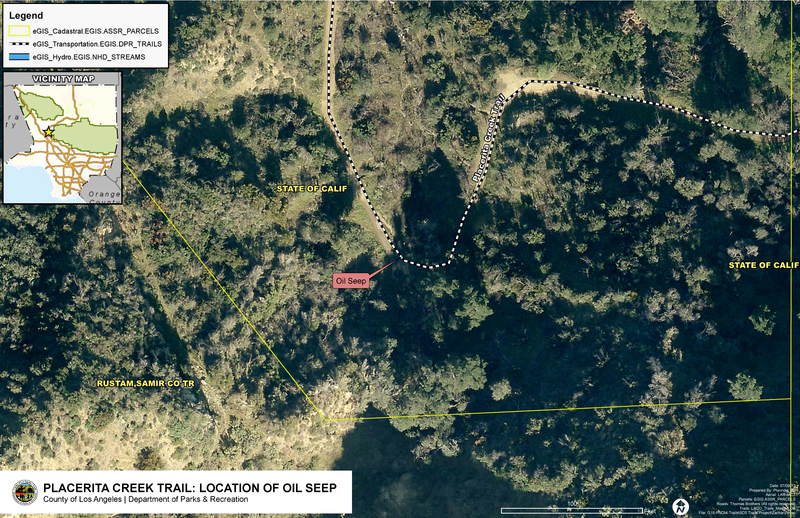 The oil seep is located alongside the Canyon Trail, which the county refurbished in early 2013. RK0713: 9600 dpi jpeg from original image.